Astronaut Aki Hoshide on EVA august 30 (Credits: NASA). International Space Station Expedition 32 was only scheduled to host two spacewalks. The first went off without a hitch. But the second, conducted on August 30, hit a snag when astronauts Sunita Williams and Aki Hoshide were unable to screw in a critical bolt. Now, an additional spacewalk has been scheduled for September 5 to finish the job. The bolt problem occurred when Williams removed a faulty Main Bus Swithing Unit (MBSU) and attempted to replace it with a new unit. The MBSU is bolted to a coldplate via two stanchion bolts – one longer, one shorter. Both bolts must be fully inserted in order for an electrical connection to be made between the unit and the station. While the bolts were stiff during removal of the faulty unit, the real problem occurred in inserting the new. Williams noticed some metallic filings in the bolt hole after removal, so she carefully cleaned it out – first with pliers, then with a nitrogen gas jet. The spacewalkers then attempted to put both bolts back in. The longer bolt would not go in at all and the shorter bolt stuck after 4-5 turns. The astronauts were using a torque multiplier tool in conjunction with a Pistol Grip Tool for this part of the operation. Mission Control was concerned that application of additional torque would leave the MBSU in a partially installed position, which could be hazardous. Williams and Hoshide had to call it quits after a marathon 8 hour 17 minute EVA, leaving the faulty unit removed, but the replacement unit uninstalled. Without the MBSU, ISS has access to only 75% of its normal power capability. A power management plan is currently in place to ensure optimal use of the available resources. While this allows nearly all systems to run, it poses a redundancy problem; that is, ISS could not easily withstand a second MBSU failure. One of the three remaining units has suffered bit flips similar to that which led to the existing unit failure. Options for dealing with the bolt on the newly scheduled EVA are still under investigation. Avenues might include use of a lubricant, using higher torque, or even bringing the unit onboard the station and removing the offending bolt so the MBSU can be strapped flush to the surface, thereby forming an electrical connection even without the bolt. 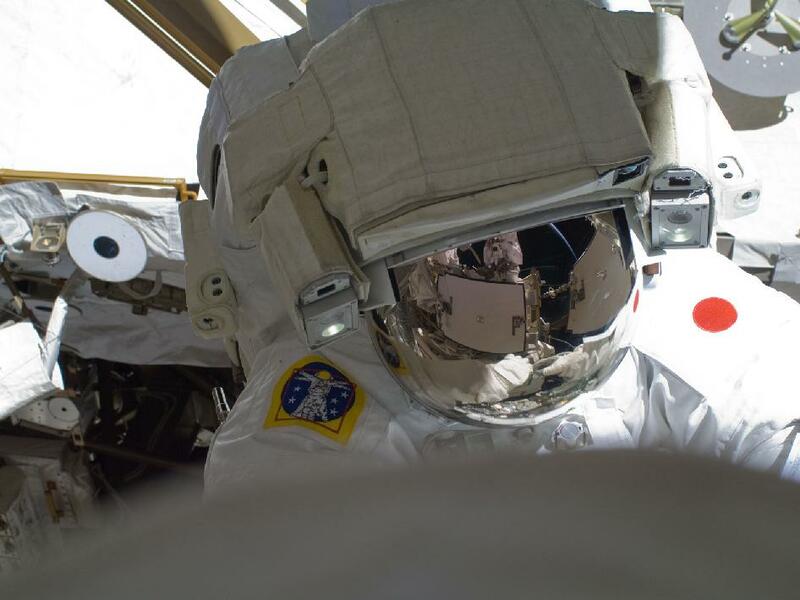 Scheduling the follow-up EVA quickly is desirable since astronaut Joe Acaba, the most experienced robotics operator, is due to return to Earth on September 17 after which he will be unable to assist the spacewalkers via robotic arm. Due to the new schedule, the September 6 unberthing of the HTV-3 resupply vessel may be postponed.